Pelican is one of the most remote towns in Southeast Alaska, it’s located in Lisianski Inlet on the north end of Chichagof Island. The next closest city is Sitka, Alaska, which is to the south. The town was originally founded by Kalle “Charlie” Raatikainen and his fish packing vessel the “Pelican.” Click here, for a full history on this iconic village. These days, Pelican is a prime destination for trollers because of its quick access to the coast of Alaska and the bountiful Fairweather fishing grounds. In recent years, the cold storage has closed and, a number of sport fishing lodges have popped up to drive the tourism industry. No gigantic cruise ships make their way to this region, making it a truly unique destination. Travelers are greeted by incredible views of the Fairweather mountain range and rustic boardwalk streets. The social mecca of Pelican is Rose’s “World Famous” Bar. Learn a little bit more about Rose’s bar here. 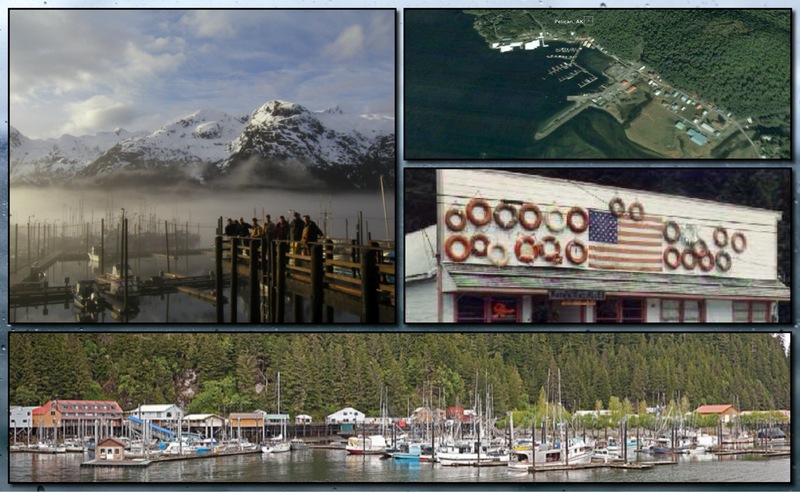 If you are looking character and charm in a quaint alaskan fishing village, look no further that Pelican, Alaska.